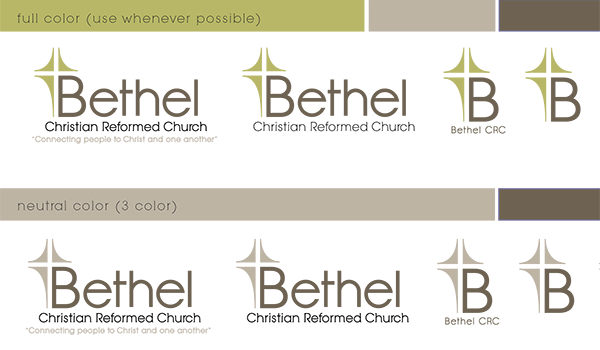 Once the new branding was in place, Bethel CRC updated all their touch points: web, Facebook, printed materials and more. It was updating with a purpose. Start with an identity package. Organizing such a package helps the church focus on who it is and what its goals are. Create a (small) committee to handle the rebranding process. Create a timeline. Creating an identity package takes time; implementation takes longer. Setting a tentative timeline gives everyone involved in the process a goal to focus on and makes sure the implementation happens once the identity package is set. Understand the process takes longer than anticipated. Such a project teaches patience. 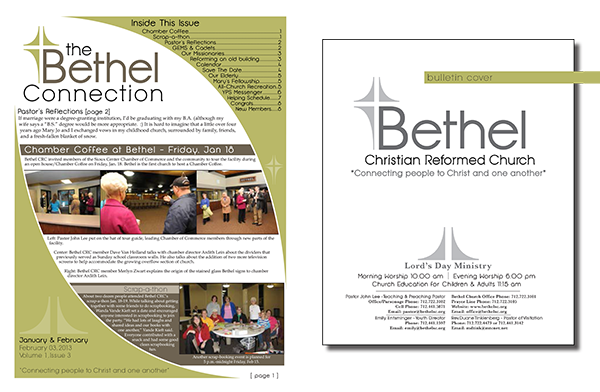 Next, Bethel CRC wants to begin using video to tell their story. It’s something they think will make them stand out in their community. “This project is important because very few, if any, churches in our area utilize this tool, so our videos could function as a ‘front door’ more broadly to the Reformed faith for newcomers as well as serve as a ‘best practice for area churches,’” explains Wielenga.